Over the last year we at Fintify spoke to hundreds of people – family members, friends and strangers about their approach to management (or lack thereof!) of their personal finances in a bid to understand their outlook towards money and personal finance management. This exercise helped us understand the factors which influence the average person’s attitude towards personal finance management – which is something that affects us all profoundly, but tends not to occupy proportional mind space. Broadly speaking, we identified a number of factors that influence an individual’s approach towards managing their personal financial matters. Given the complexities of human nature, most people are influenced by more than one of the factors we have identified and to varying degrees. Our findings confirm that a tool for personal finance management needs to be highly nuanced and adaptable for it to be useful. We found that in general women’s participation in managing or making decisions about their financial situations is much lower in comparison with men, and that they tend to rely mostly on the male members of their family to manage their finances. This appears to be the case irrespective of the woman’s marital status, occupation or otherwise, or availability (or lack) of sources of income. In our view, the main reason for this worrying trend , is a deep-rooted social conditioning that finance is men’s domain, a viewpoint endorsed, consciously or otherwise, even by women who identify as “firebrand” feminists when they take the backseat in actively managing their own personal finances. This phenomenon is so deeply engrained that most fintech entrepreneurs that we spoke to consciously leave, or have left, women out of their target market, sometimes even when the sole founder of the business is a woman! If only we got a pound for every time we heard this, we would be happily retired and living on an emerald island in the Caribbean. There seems to be an overwhelming association of money with greed and obsession with wealth. Money is vilified as being the root of all evil, and the thrifty are quickly judged as being miserly. This is particularly true among people who do not work in the financial or other related industries. 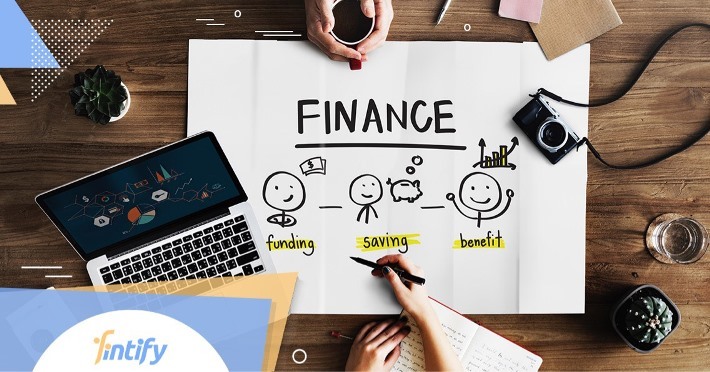 Those who do work in finance related sectors tend to have a higher inclination to actively manage their personal finances but lack another crucial factor in managing money better- time. For most people, budget management and controlling expenses are bigger concerns than long-term financial or retirement planning. As behavioral analysis tells us, given the same amount of money to invest, people tend to choose short-term gains over long-term benefits. For example, people prefer to receive tax benefits in the current financial year even if the opportunity cost of doing so is higher in the long term. However, we found that a person’s personality also impacts the horizon based on which people make their financial decisions. A nervous investor may churn his portfolio frequently which, more often than not, results in reduced returns over a longer horizon. Aggressive investors choose shorter-term financial products with higher risks, while the comparatively passive ones are happy to sit on real estate investments as their retirement nest. The “YOLO” minded millennials choose “life improving experiences” over possibly wiser long-term investments, buying fancy cars while having little to none in the name of savings or investments. The few who did know of investment options lacked the knowledge to match them with their financial situation and ambitions. Another interesting observation is that while most people’s spending habits changed drastically with rising income, changes in their attitude to saving and investment did not keep pace. Their reluctance to invest when they had little money continued even when they had the capacity to save more. In some cases, the people we spoke to actually invested a lower amount than they did when they had a much lower income, meaning that they had large sums of money sitting idle in bank accounts earning them close to nothing. Among those who had the inclination and the knowledge to manage their money better, the stumbling block was the lack of discipline. “I track my money when I have time”, or “only when I have an excess of money to invest” was a common refrain. So much so that statements like these sound very similar to excuses people make about a physical fitness goal that is more interest-driven than need-driven. i.e “I like / don’t like to do it” against “I need to do it”. Investors who are not disciplined stand to lose a lot either in lost opportunity costs or by bleeding money through service charges and fees for late / missed payments. Every penny saved is a penny earned. A small part of each day should be spent on wealth protection and creation than just income generation. Ladies, wake up and take control of your finances. There is nothing more liberating than financial independence. Treat money like a friend. Someone who stands by you in tough times and is with you in great ones. Because that, as much as you may dislike money, will always be true. Don’t be nervous of diving into the deep end while investing. Invest early and over long horizons even if the amount is small. Managing personal finance requires as much time as it does discipline. Start with 30 minutes per day for the first week until you have tucked every spare penny into an investment. Vary your commitments across different time horizons keeping in mind lump sum inflows like maturing term-deposits and outflows like down payments for mortgages, insurance premiums etc. Spend at least 15 minutes a day monitoring your finances to check that it is all in place and doing well. Read at least one investment finance related article a week. Educate yourself. It is really more common sense than rocket science! Watch the pounds and you can enjoy spending the pennies without too much detailed accounting. In today’s tech-enabled world you really have no excuse to not watch where the money is going. We are all heading towards increased life spans and have ambitious plans for when we retire. Who would not want to be peacefully sipping martinis watching the sunset over a gorgeous beach at 65 when the kids have flown the nest and all worldly obligations have been met? A stitch in time does save nine.